Next tenth of February we will assist to the workshop of music intelligence, given by our friend Rafa Santos. This class is in the cycle of multiple intelligences that we organized to develop our abilities. Since now we have worked the physics one, numeric, verbal (I gave it), sensual (relative to senses) and sexual. Sexual intelligence caused many jokes before the workshop. The next one is music intelligence and I suspect we will use a part of work from sensual one, as its relationship with hearing. Sometimes I feel it is a forgotten sense. We act so quickly and we hardly ever hear in a conscience way. We don’t stop to listen to nothing. When did you listen to a song or a music composition last time? And when did you stop to listen to a sound? Without speaking about listening people! We live with so much visual information and it’s as fast as we need a lot of sensorial impacts. We put the radio while we are driving or while we are doing other tasks. Today I support the hearing sense. Let’s give ourselves a present: some minutes of our favorite music or song. Only listenicg to it. Or another sound from nature or… from architecture! When I studied architecture we had a subject called acoustics. It was pretty technique and we learned, basically, two questions: how to isolate spaces and how to achieve rooms with a good acoustics quality. The first one is clear: projecting the building to absorb noises and don’t disturb our neighbors. Second one tray to having a good quality of sounds in a room. Have you ever gone to a restaurant and you have not listened to your partner or friends? Have you ever staid in a room with so many echoes? They are unpleasant, aren’t they? Well, we can work it by materials, textures, relationships between planes, etc. But I don’t want to bore to you with technique questions. I prefer thinking about more poetic faces of my profession. 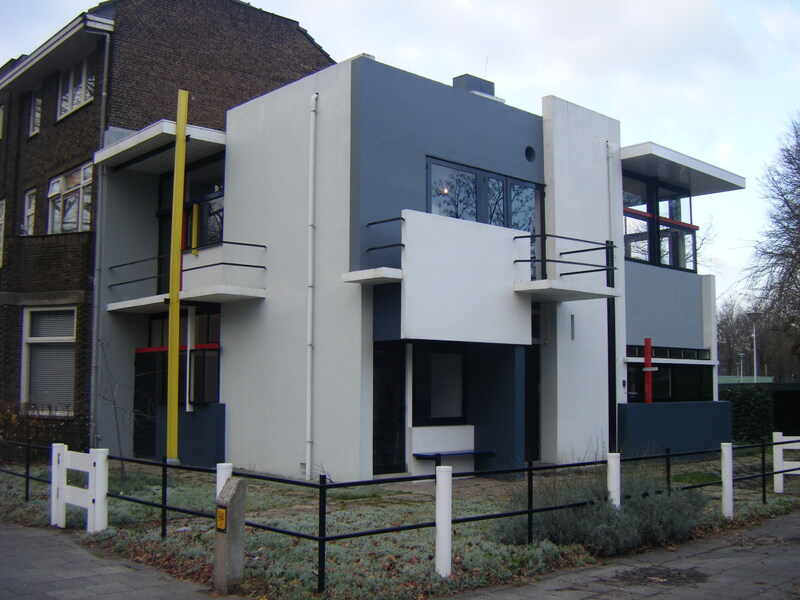 What sounds can edifications produce, or the courtyard of a house, or an urban space? An easy example is a park. Imagine the sound from the wind playing with trees, the song of birds and the water’s murmur. Am I so much smarmy? Anyway, we are bringing some of those sounds to our houses… for example, a fountain built in a courtyard. Islamic architecture often used this element. If you have ever visited The Alhambra, you realized the big number of fountains and water plays that there are on their gardens. A bell sound –or noise, depending on the bell- is a part of architecture too. I want to ask to bell companies to producing them with nice sounds. We wish the announce of a visit will be pleasant, please! What sounds are at home? Maybe your children playing or musical thread or, sometimes… the silence sound? This week I propose to have conscience of the sounds. Let’s avoid noises and enjoy sounds! El próximo diez de febrero asistiremos al taller de inteligencia musical que impartirá nuestro amigo Rafa Santos. Esta sesión forma parte del ciclo de talleres que hemos organizado para desarrollar las inteligencias múltiples. Hasta ahora hemos trabajado la inteligencia física, la numérica, la verbal (que impartí yo), la sensual (referente a los sentidos) y la sexual, que por cierto, provocó muchos chistes antes del taller. La próxima es la musical y sospecho que retomaremos parte del trabajo de la inteligencia sensual, en lo referente al sentido del oído. A veces tengo la sensación de que es un sentido olvidado. Vamos tan rápido que casi nunca oímos de manera consciente. Tampoco nos paramos a escuchar. ¿Cuándo fue la última vez que te sentaste a escuchar una canción o una composición musical? ¿Y la última en que te detuviste a escuchar cualquier sonido? Y eso de hablar de la comunicación entre las personas. Tenemos tanta información visual y tan rápida que a veces necesitamos muchos impactos sensoriales. Ponemos la radio de fondo, al mismo tiempo que conducimos o realizamos otras tareas. Hoy reivindico el sentido del oído. Vamos a regalarle unos minutos. Pon tu música favorita, con tu cantante preferido o con otros sonidos como los que produce la naturaleza o algunos elementos de la arquitectura. Cuando estudiaba arquitectura teníamos una asignatura que se llamaba acústica. Era bastante técnica y aprendíamos básicamente dos cuestiones: como aislar los espacios y cómo conseguir estancias con buena calidad acústica. La primera está bastante clara, consiste en preparar la edificación para que absorber el ruido y que no llegue a casa de nuestro vecino ni al exterior, tanto por transmisión aérea como por impacto. Y la segunda persigue tener una buena calidad del sonido producido dentro de un determinado espacio. ¿Alguna vez has ido a un restaurante, no escuchabas a la persona que se sentaba en frente de ti y, en cambio, oías todo el barullo del lugar? ¿Y has estado en alguna sala donde había demasiado eco? ¿A que son desagradables? Pues bien, esto se puede trabajar mediante los materiales, las texturas, la disposición de los planos entre sí, etc. Pero no quiero aburrirte con cuestiones técnicas, prefiero pasearme por aspectos más poéticos de mi profesión. ¿Qué sonidos puede producir una edificación, el patio de una casa o un espacio urbano? Un ejemplo muy fácil sería un parque. Imagínate el sonido del viento jugando con los árboles, el canto de los pájaros y el rumor del agua. ¿Me estoy poniendo demasiado empalagosa? En fin, vamos a llevarnos algunos sonidos a casa… por ejemplo, con una fuente construida en un patio. Este elemento lo utilizaban mucho en la arquitectura islámica. 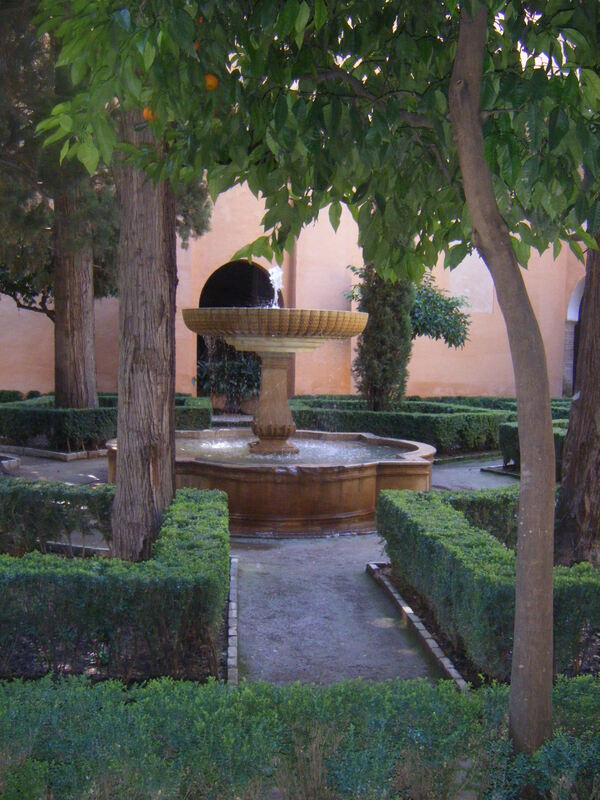 Si has visitado la Alhambra te habrás dado cuenta de la cantidad de fuentes y juegos de agua que hay por todos los jardines. El sonido de un timbre –o el ruido, dependiendo del tipo de timbre- también está producido por la arquitectura. Aprovecho para pedirles a los fabricantes que cuiden mucho los sonidos de los timbres que comercialicen. Que el anuncio de una visita sea agradable, por favor. ¿Qué sonidos hay en tu casa? Quizá el de tus hijos jugando, o es del hilo musical, o quizá, algunas veces… ¿el sonido del silencio? Esta semana propongo que pongamos atención a lo que oímos. Evitemos los ruidos y disfrutemos de los sonidos. Some days ago I discovered myself destroying my imagination and supporting my old thought models. I tell you, I was watching The Simpson, this lovely and creative cartoons series. It was the chapter when the family participated in a reality without audience. To solve this situation, Production Company decided moving the house to a river. They did it in the middle of the night. A helicopter took the house on the top and translated it by the air until its new place. And now I confess tu you what I thought: that cannot be like that! Structure is built to support compression forces, like gravity and not to have traction forces. In that moment I realized that I did not share this imagination and I said myself “that is not possible!”. My friends, how many times someone said you “you cannot do that”, “that is not the way”, “not like that”, “like me, like I show you” and many similar expressions? When we were children our imagination was intact. If we put attention on kids, we will see their original ideas. Sometimes they are interesting and extraordinary ones. They have some reactions that we would never think. My favorite example is a draw by Héctor. He is my friend Rafa’s son. He drew Superman and wrote its body’s parts. The special question was on the back of the sheet, where he had drawn the cape! Along our upbringing and education people showed us what the “good” way was. If you went out, you were doing things “wrongly”. We started school as only human beings and we finished it like copies. Fortunately, nowadays some professors and psychologists speak about new education ways. Also, they appreciate creativity. Actually, creativity is really necessary in every aspect of life. We understand for creativity acting, thinking, designing, building or projecting something different thing with a utility, with valor. What is your matter? What activities do you like doing? When you do them, do you always act in the same way? Do you imagine different options? And later imagining, to you practice some of them? We must consider every idea, without censorships, ever if they are crazy. Later we will study which of them are really valuables. When I studied Architecture we learned to project with an interesting method: we had a white piece of paper and we designed a building or another project. Teachers didn’t explain us anything before working. We learned project projecting. At the moment, we tried every hypothetic solution, even thought the crazier ones! Lots of them only staid like ideas, like attempts, tests, but, sometimes… a strange idea brought us to a way of space or constructive solution. Along our careers having habits is easy. Because of laws, normative and customs we can have always the same solutions, projecting always the same spaces. I bat to myself to stay fresh. I tray imagine and looking for new solutions. Do you do it too? Let’s tray. We are being more creative from today. Came on! Hace unos días me descubrí a mí misma boicoteando mi imaginación en pro de mis viejos patrones de pensamiento. Os cuento, estaba viendo los Simpson, serie que me encanta y que me parece increíblemente creativa. Era un capítulo en el que la familia participaba en un reality que no tenía demasiada audiencia. Para resolver esta situación los productores decidieron llevar la casa en la que se alojaban a un río y así lo hicieron, en mitad de la noche una especie de helicóptero-grúa enganchó aquella vivienda de una forma que sólo sucede en los dibujos y se la llevó volando hasta su destino. Ahora os confieso lo que pensé: eso no puede suceder, la estructura está preparada para soportar fuerzas de compresión, es decir, pesos sobre cada planta o cargas en la cubierta, pero no está construida para ser traccionada, es decir, estirada (como si a nosotros nos levantaran del suelo tirando de la cabeza hacia arriba). Y ahí fue cuando me di cuenta de que en lugar de compartir como espectadora la imaginación de otros y el uso que le dieron, reaccioné con el pensamiento de “eso no se puede hacer”. Amigos, ¿cuántas veces nos han dicho “eso no se puede”, “eso no se hace”, “así no”, “así, como yo te digo” y tantas frases de este tipo? Cuando éramos pequeños nuestra capacidad para imaginar estaba virgen. Si nos fijamos en los niños observaremos que tienen ocurrencias originales, singulares, interesantes. Tienen reacciones que a nosotros, seguramente, no se nos habrían ocurrido. Un ejemplo es el dibujo que hizo Héctor, el hijo de mi amigo Rafa. Dibujó a Superman en una hoja. Era tan pequeño que tituló a su obra supelman y escribió las partes de su cuerpo: ojos, pies y nanos. Hasta aquí todo parece normal, lo estupendo se descubre al girar la hoja. En la otra cara del papel… ¡había dibujado la capa! A lo largo de nuestra educación nos han marcado el camino “bueno” y del cual no te podías salir. Moverse de ahí significaba hacer mal las cosas. Entrábamos en el colegio como seres únicos y salíamos convertidos en productos de ciertos moldes. Afortunadamente se está hablando cada vez más de nuevos modelos educativos y está valorando la creatividad, tan necesaria en todos los ámbitos de nuestra vida. Entenderemos creatividad como pensar, diseñar, construir o proyectar algo nuevo y que tenga utilidad. ¿Cuál es tu profesión? ¿A qué actividades dedicas tu tiempo? Y yo te pregunto, ¿haces cada proceso siempre del mismo modo? ¿O imaginas formas diferentes? Y después de imaginarlas, ¿pones en práctica algunas de ellas? Dicen que tenemos que estudiar todas las ideas, sin censuras, por muy locas que sean. Después ya analizaremos cuáles ponemos en práctica y de ellas, cuáles aportan valor. Cuando yo estudiaba teníamos una asignatura básica en todos los cursos de la carrera que era el taller de proyectos. No había explicaciones ni clases magistrales (salvo pequeñas excepciones). La metodología era realizar proyectos. Teníamos que crear un edificio a partir de una hoja en blanco. Aprendíamos a proyectar proyectando. Después el profesor o los compañeros te lo corregían. Ese era el método. En esa aventura de convertir un papel vacío en un espacio recorrías un curioso camino, estudiabas edificios recreados en libros y revistas y aprendías por ensayo-error. En ese momento no había censura. Todo se probaba, todo se dibujaba. La mayoría de ideas locas acababan en agua de borrajas. No obstante, de esos disparates surgía la semilla de una solución increíble, de una distribución novedosa, de una alternativa estructural que parecía no existir. Después, a lo largo del ejercicio de la profesión es fácil viciarse. Normativas, reglas, hábitos y costumbres constructivas nos empujan a proyectar siempre igual. A repetir los mismos patrones, ofrecer una y otra vez las mismas soluciones. Yo lucho continuamente con mi mente para conservar ese espíritu fresco, por crear soluciones espaciales, por hacer cada proyecto nuevo. Y te invito a que tú también hagas lo mismo. Creo que todos estamos preñados de ideas que residen en nuestro subconsciente. Dejémoslas salir, vamos a volver a imaginar. Vamos a tener la actitud para ser creativos. ¡Empezamos hoy! De nuevo, domingo. Me siento frente al ordenador y me dispongo teclear mientras reflexiono sobre el siguiente cruce entre la arquitectura y el mundo interior (o exterior) de las personas. Normalmente abro mi libreta de temas y elijo uno de los que he ido anotando en mis momentos de inspiración. Hoy no lo he hecho, es el tema el que me ha buscado a mí. El orden, los distintos tipos de organización, en nuestra casa y en nuestra vida. Y es que nuestra vivienda, nuestro dormitorio o nuestra oficina son un fiel reflejo de cómo nos sentimos y de cómo tendemos a comportarnos. Cuando hablo de orden no me refiero a disponer los objetos o a distribuir las tareas siguiendo unas pautas marcadas, sino a la forma de organizar. Dicen que el caos es un tipo de orden y así quiero considerar yo cada disposición. No hay desorden, hay diferentes modos de colocar. Luego ya veremos si son más o menos funcionales, más o menos estéticos o si están en consonancia conmigo. El caso es que no hay desorden, pues éste será un tipo de orden. Y aclarado el concepto, en este momento de tu vida, ¿cómo colocas tus objetos? 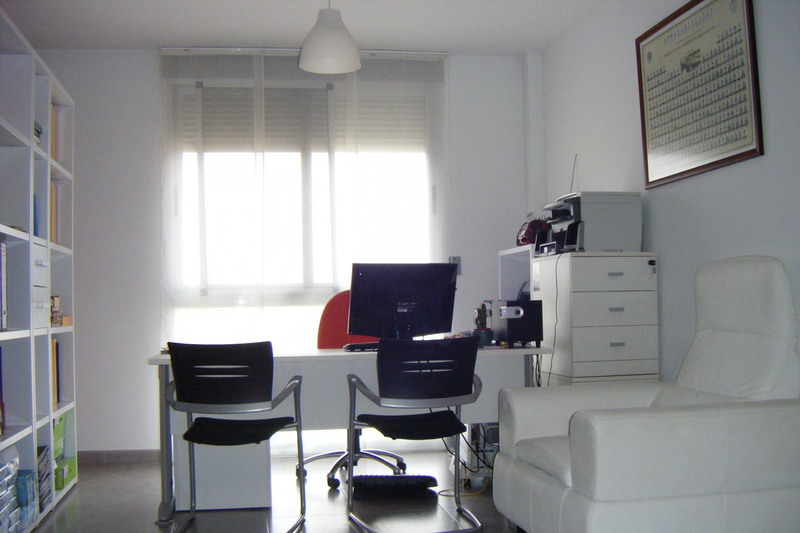 ¿Cómo tienes decorada tu casa o tu lugar de trabajo? Piénsalo. ¿Te gusta llenar las paredes, las estanterías y cada rincón con todo tipo de elementos? ¿O más bien adoras la sencillez y la austeridad? Si te das cuenta, las personas que decoran su hogar con objetos y más objetos suelen hacerlo también con su cuerpo a la hora de vestir. Mi amiga Laura lo hace. Cuando estábamos en la residencia, el año que la conocí, llenó las paredes, la estantería, la mesa y hasta la cama con todo tipo de elementos. Y lo mismo ha hecho en cada casa en que la he visitado. Y cuando se viste ocurre lo mismo. No sé cómo es capaz de ir tan elegante con tantos pañuelos, pendientes, cinturones y demás complementos. Y a ella le quedan bien. ¿Por qué? Porque va con ella. Porque es coherente con su manera de comportarse, de vivir. Su tiempo lo tiene abigarrado de actividades, planes, personas y más actividades. Aquel año, en la residencia, yo puse unas cuantas fotos en la pared. En mi despacho he intentado colocar la mínima cantidad de objetos (y aún así me parecen bastantes). Cuando visto, hago lo mismo. Y sin pensarlo, sin tener ninguna intencionalidad… surge así. Lo mismo sucede con las tareas que realizo en mi tiempo. Procuro que cada una tenga su tiempo y no mezclarlas demasiado. Eso sí, de vez en cuando rompo ese orden al que estoy habituada y mi mesa se llena de papeles, de carpetas, de rotuladores. O me visto para salir y me pongo mil abalorios y hasta me maquillo en exceso. Y ese romper con mi orden lo disfruto. Es algo especial, un juego. ¿Te ha pasado alguna vez? Te levantas por la mañana y te apetece romper, modificar tus rutinas. Cambias algo en tu casa, te colocas esa ropa que ni recordabas que existía y tienes una conducta diferente a la que estás habituado. Yo creo que esto es sano y saludable. No sé muy bien por qué pero seguro que existe una razón. Atendiendo a lo que nos explica mi profesor de pnl podría decir “yo soy organizada excepto cuando no lo soy”. Y luego nos suele contar lo malas que son las etiquetas, las que ponemos a otros y las que nos colocamos a nosotros mismos. Aceptar nuestras contradicciones es saludable y beneficioso. Y, para ir concluyendo, ¿cómo te sientes? ¿Es acorde con la manera en que te expresas a través de tus espacios? Si somos flexibles, si nos escuchamos a nosotros mismos y obramos en consecuencia, expresándonos de manera fluida, seguramente, acabaremos siendo más felices. Aún recuerdo una clase de construcción, en la Escuela de Arquitectura, en la que nos enseñaban diapositivas de partes de la obra mal ejecutadas. Una vez concluidos los trabajos nadie vería el fallo. El profesor nos dijo que cada detalle ha de construirse correctamente pues Dios lo ve todo. Dios lo ve todo… también es el título de un ensayo del arquitecto Oscar Tusquets, no obstante, este libro va por otros derroteros. Lo que mi profesor quería transmitirnos es que debíamos estar muy atentos a todo el proceso. Los fallos constructivos, aunque resulten invisibles, tienen consecuencias. Cuando empecé la carrera no sentía demasiada simpatía por el momento de la construcción. Recuerdo las primeras visitas que hacíamos con la Escuela: ¡no entendía nada! Y fui aficionándome cada vez más a medida que empecé a comprender todo lo que allí sucedía. 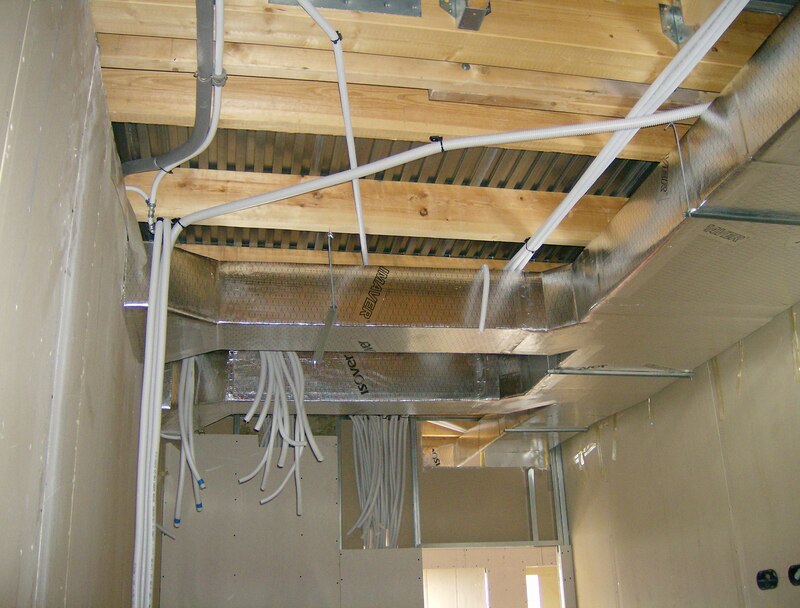 Cables, tuberías, cemento fresco, pilas de ladrillos… Pronto me encariñé con las tripas de la arquitectura. En todas las profesiones existen. ¿A qué te dedicas tú? ¿Y qué pasa en las entrañas de tu trabajo? Yo creo que en todas las profesiones existe un interior y para que la obra final sea buena, te tiene que gustar. Y pienso, por ejemplo, en un cocinero. Normalmente las cocinas de los restaurantes están cerradas al público, son lugares íntimos y de ahí sólo sale el producto finalizado. Un profesor, preparándose una clase, con su escritorio y su ordenador lleno de carpetas abiertas, textos, apuntes… está en el momento de engendrar la obra final. ¿Te imaginas el taller de una modista, de un escultor, de una pintora o de cualquier profesional creativo? Y… ¿cómo es el tuyo, tu taller? ¿Qué relación tienes con ese interior de tus obras? Y me refiero tanto en tu trabajo como en tus aficiones o en las actividades que realices. ¿Te gustan esos entresijos? Yo me imagino en otras profesiones y tengo muy claro que no podría trabajar en ningún sitio en el que hubiera sangre, como un hospital, un centro médico o una carnicería. Tengo la sensación de que es una debilidad bastante común. Por eso admiro a las personas que se dedican a ello. Asimismo me imagino una cantidad de talleres, trastiendas y centros de trabajo en los que sí sería feliz. ¿En cuáles lo serías tú? ¿Qué te gusta realizar, de qué te gusta ensuciarte las manos? ¿Y qué te resulta incómodo, molesto? Estoy convencida que aquello que te gusta hacer, crear, te sale bien. Cuando una actividad nos atrae, nos apasiona, le ponemos tanto interés y tanta energía que es imposible que el resultado final no sea bueno. ¿Qué te gusta elaborar y, por tanto… te sale bien? Parece que el cambio de año es un buen momento para hacer evaluación de cómo lo hemos hecho y plantearnos los buenos propósitos u objetivos para los meses que llegan. ¿Lo haces? ¿Sabes hacia dónde vas? ¿Trazas una estrategia que te acerque a tu meta? ¿Disfrutas de cada uno de esos pasos? Vamos a animarnos todos y, si aun no lo hemos hecho, pongamos por escrito cuáles son nuestros sueños. Si proyectamos una buena estrategia y hoy damos el primer paso, ponemos el primer ladrillo… ¡El sueño se convertirá en objetivo! Si se trata de adquirir buenos hábitos, haremos acopio de voluntad y no desistiremos si un día nos saltamos una clase o nos salimos de la dieta. Tropezar es una parte del camino, la cuestión es no alejarnos de él. Dicen los psicólogos que para afianzar un hábito se necesitan 21 días. ¿Vamos a ello? Para motivarnos, pensemos en todo lo que ya hemos conseguido previamente. Si hemos sido capaces de aquello, ¿por qué no de esto otro? Antes de lanzarnos hacia delante, vamos a hacer balance del año que acabamos de despedir. Por favor, señores, señoras: reconozcamos todo lo bueno que nos ha acontecido a nosotros y a los nuestros. Valoremos lo que hemos alcanzado y premiémonos por ello. Después estudiaremos qué es lo que se puede mejorar. Yo voy a compartir con vosotros balance y propósitos de este blog, nacido en 2011. Reconozco que no sabía hacia dónde me dirigía cuando emprendí esta aventura. Mi amigo Álvaro Valladares me animó a escribir un blog. Claro, lo propio sería que tratara sobre arquitectura pero… no me veo comentando edificios, hablando de técnicas constructivas o filosofando sobre los últimos materiales de construcción… no, no me veo. Otra posibilidad sería escribir sobre las emociones, pero… no soy profesional de esta área, además, no sé tanto como para rellenar hojas y hojas. En medio de ese pensamiento se encendió una bombillita y lo vi clarísimo: enlazar estas dos pasiones. Eso sí podría hacerlo. Mi hermano se ocupó (y lo sigue haciendo) de las cuestiones técnicas y me ayuda con la imagen. Es muy buen diseñador gráfico y tiene un gusto y una sensibilidad exquisita. Ya estaba todo en marcha y comencé a publicar, al principio, sin pautas en cuanto a la periodicidad. Después del verano consideré que habría una nueva entrada cada domingo. Y esto ha sido así gracias a vosotros. Vuestros comentarios en el blog, en facebook y dichos personalmente me han motivado a seguir. Cerca de 2.400 visitas me animan cada domingo a hacer una nueva reflexión. Quiero dar las gracias a mis amigas de Evap, a mis amigos de Desata, a los de Vilamarxant, a mi familia, a Emilio, a mi tía Mari Carmen, a Silvia Carbonell, a Cecilio, a mis lectores de México y Costa Rica y a todos los que os habéis paseado por aquí. El balance es muy positivo. Me he sentido muy bien verbalizando lo que tenía dentro. Me ha ayudado a poner orden a ciertas inquietudes y ha sido un ejercicio de catarsis. El objetivo para 2012 va a ser continuar escribiendo una entrada cada domingo y disfrutar de ello, seguir haciéndolo con pasión. Un segundo objetivo es convertir este espacio en bilingüe. Me concedo enero para solventar las cuestiones técnicas y, como máximo, a partir de febrero las entradas aparecerán también en inglés. 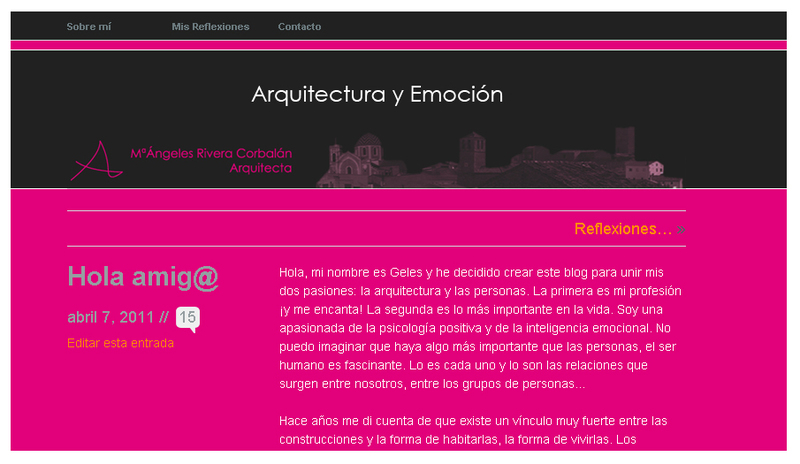 Architecture & Emotions… ¿suena bien? Pues así lo harnos. Amiga, amigo, mis mejores deseos para el 2012.